So, 11 years ago, I had this crush. (What’s new, right?) Anywho, in response to where the crush went–absolutely nowhere–I wrote a story. It was my way of catharsis, as I like to do. I’ve decided to share this story with you! I’m largely proud of it; it was a great accomplishment for me; and…my sister wants me to share it with my readers, so I have to listen to her, even though I’m older. Each week, I will bring The Cruelty Papers (the title) to you in installments. You can find Part One here. I’d love to get your thoughts, your comments, whatever you’d like to say. Please and thank you? Eleven years later, I have to say that my writing has changed in certain ways, but at the core, this is a definitive sample of my work. And it was nice to read this story and reminisce. Enjoy, and be sure to let me know what you think! p.s. 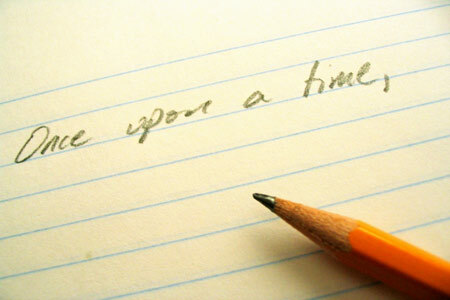 : This is only the beginning of sharing my stories with you by installment. Again, enjoy! 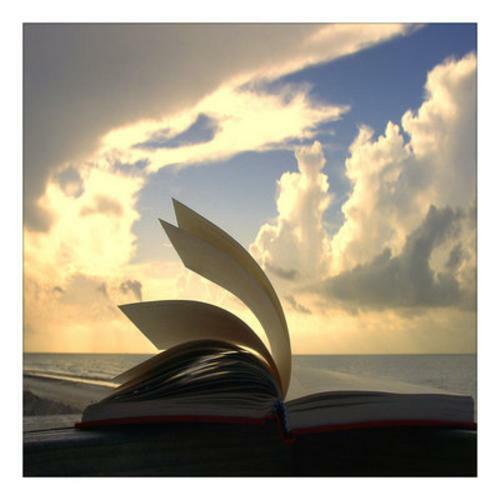 Stating the obvious and the thoroughly discussed: I love books. I love how they smell. I love how they look. I love the feeling of a book gently bouncing in my bag as I walk to and fromwork. I love flipping the pages. I love bookstores and libraries. I love, I love, I love. Which is why I’m feeling guilty for what I’ve done. No book burning rallies or anything like that, of course. Worse. It was Cyber Monday, and I’m all about the deals, and I looked at the one my Sissie has and my eyes grew hungry and wanting, and…and…I lost my mind. I bought one. Me, who has long decried the advent of e-books and their ruination of actual books. Me, who realizes that these things largely helped destroy my beloved Borders Books. Me, with the narrowed eyes and the endless head shaking as I watch fellow metro riders pull them from their bags during our morning and afternoon commutes. Me, the obvious Book Snob. (I think the previous sentences prove that, don’t they?) I gave in. I gave in! I won’t even begin to list the pros of the Nook (for a book lover, this is kind of great; I can buy books in seconds, I can borrow books from the virtual library; I’ll stop now) or provide an overview of the product. Suffice it to say that if there were a Book Altar, I would be sacrificing a sound animal for the purposes of atonement and forgiveness. Never mind that my guilt almost matches the giddy excitement I feel at the prospect of receiving my new purchase in the mail. Ignore that last statement. Anyway, there you have it. My admission of guilt. Nevertheless, I don’t intend to give up on my actual books or my bookstores or libraries. The love and snobbery will most certainly continue. the book that did it. At first, I had to think it through. I’ve read an inordinate amount of books, all of which have accomplished something for me—either personally, as a writer, or both. Which one stood out? Which one knocked me over? Which one bypassed the boundaries of paper and page to enter my heart and significantly touch my life? 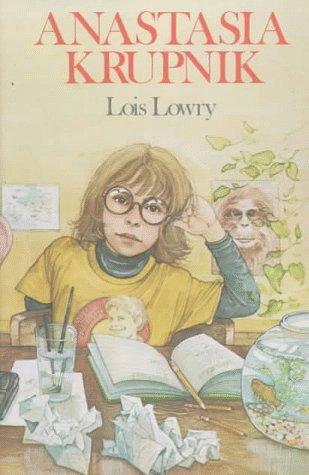 I don’t even remember how old I was when I read this book. 10, 11, 12. I just remember feeling kind of stunned, because the story of Margaret and her growing pains resembled the same things I was going through at the time. I remember reading the book so quickly that I couldn’t believe it was over when I completed it. I remember sitting in the couch in our basement, my eyes swallowing words that were affecting me in a way a book never had before. It wasn’t a Greek myth or a children’s book. It was Margaret wondering about faith, boys, growing up girl, her family. It was me, rendered in book form. 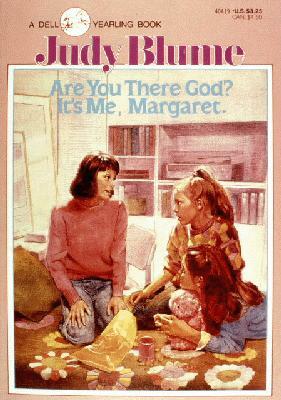 Years later, there was some kind of event in USA Today, where you could send Judy Blume a question. I quickly sent my message to her: no question, just sincere appreciation for the book that changed my little life. She replied. She replied! 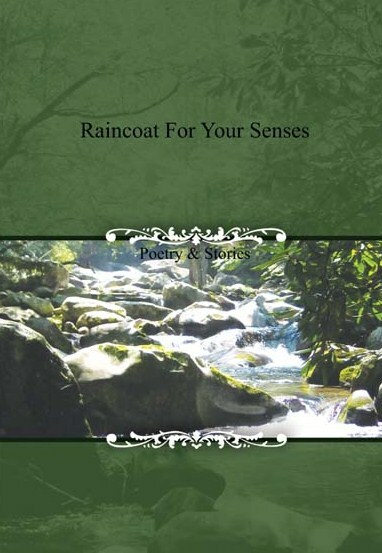 I have no idea where that email is now, I don’t recall what she said—but I remember jumping around the house, nearly in tears, because the author who penned that amazing, thought-provoking book sent me a message. It was out of this world. Out this world, a bit like the book that pretty much changed everything. Categories A Few Words, Book 'Em, Simply Love. Anastasia Krupnik, I love you. She was fiercely intelligent, hilarious, insecure, brave. She was my age. She wanted to answer the telephone by saying, “for whom does this bell toll?” (Awesome or what?) She was obsessed with psychology and Sigmund Freud. She was everything to me. I decided this morning that I want to revisit the world of Anastasia. (A few years ago, I ignored the curious looks of a few kids who watched as I nonchalantly sauntered over to the young adult section of the library and commenced with squealing as I looked through those old books.) The article in the paper reminded me of the joy those books brought me, and as I remain a sucker for nostalgia, I resolve to go back in time. Anastasia At this Addressen the special “he” wants to meet her. Categories Book 'Em, Finally Friday, I Love You, I'm so excited., Plans. I read a pretty dismal article in the newspaper this morning. Borders Books has filed for Chapter 11 bankruptcy and will close about 30 percent of its more than 600 stores. Apparently, they were late in joining the Internet/ebook/iPad revolution and have significantly suffered (more than $1 billion in debt) as a result. I have a special place in my heart for Borders Books. Not only because I suspect I’m part of the rapidly diminishing number of people who actually love the feel of an actual book in their hands (not on a computer screen, not being tweeted, not Kindled); not only because stepping into a bookstore fills me with the kind of giddy anticipation that I can’t fully describe (but oh, what a feeling! ); but mainly for reasons quite close to my heart. Desire of a Book Nerd Fulfilled: it was the best environment for a happy English major and her obsession with books. 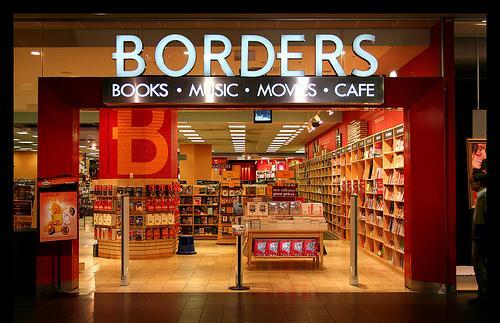 I worked at Borders during college and I relished it. I literally cried when they hired me. Next to wanting to work in a library, it was my dream job. Of Like Mind: I was working alongside people with whom I had a lot in common, which meant something at age 19. (These days, forget commonality. Give me a paycheck and send me home at 5pm.) Fellow writers, avid readers, just plain awesome people. Um…: a fellow bookseller, pure infatuation, but it felt like love. A wonderful, wonderful him. I think about him still, from time to time. ANYway, that’s entirely another Kitten Heel discussion, after I’ve had a few drinks and am quite ready to sink a few ships with my loose lips. Ok–currently inundated with memories, moving on. A Little Learning, For Sure: I got to see and learn about the merchandising/business-y side of the book selling game. Pretty interesting. Oprah, Power, Still Blows my Mind: She released a book on her show. MINUTES after the airing of this show, a gaggle of women raced into the store and asked for the book. It hadn’t even been released yet. Their disappointment (“But Oprah recommended it. Why don’t you HAVE it?”) was utterly comical. That scenario happened more than once. Yeah. Power. End of my beloved bullets. A few memories from that sweet, kind of incredible time in my young life. I find the situation with Borders undeniably sad and disconcerting, beyond my personal memories. Universally, it would be a terrible loss if these stores disappeared. That giddy bookstore feeling really can’t be beat. Categories Book 'Em, Bullets are bu-wonderful. I wrote this book. I’m so proud of that. Just giddy and proud.